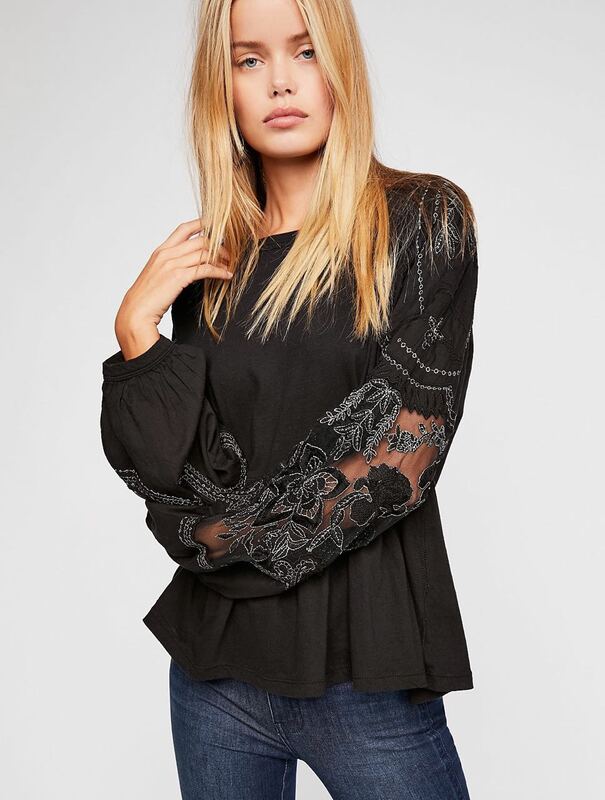 Free People “Penny Tee” – absolutely gorgeous black cotton top with sheer mesh detailing with stunning embroidery with shiny lurex threads on the sleeves, ruffled hem. 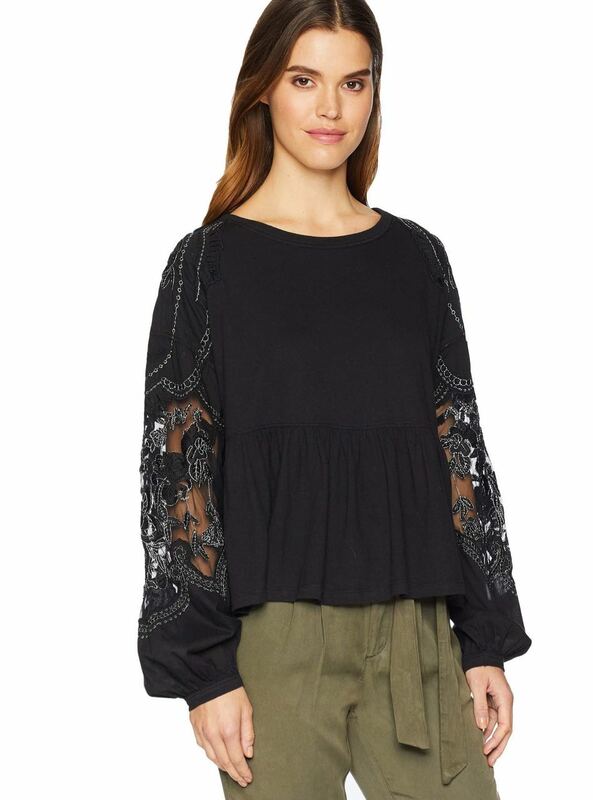 Free style fit and spectacular look! Fitting Tip: purchase a side down, if you prefer a tighter fit.